Paul Bostaph, the drummer of Slayer, is known for his technical, intense, lightning fast, and aggressive style of drumming that has earned him the throne in legendary bands such as Slayer, Exodus, Testament and Forbidden. The discovery of the Iron Maiden record Killers deeply impacted Paul and quickly made him realize the unrelenting, vigorous style of music that he was destined to play. 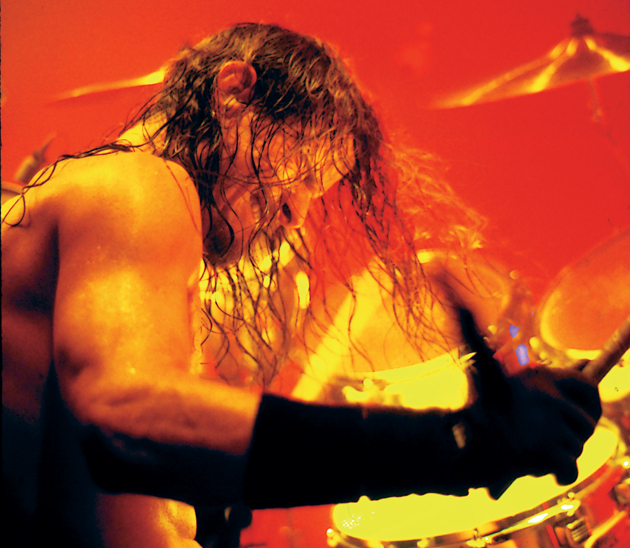 Bostaph began playing drums at the age of 16. His love for powerful drumming developed as he experimented with the instrument that excited and captured his imagination. Paul instantly understood the responsibly of a drummer to carry the whole band in time and wanted the challenge. His first band, Forbidden, was his initial outlet to play music the way he wanted. With the rise in popularity and success of Forbidden’s first record, Bostaph’s professional drumming career began. Paul and Forbidden got a record deal in 1989. Releasing the bands first album, Forbidden Evil and then in 1990 with their second release, Twisted in Form. Bostaph went on to join Slayer in early 1992 and toured and recorded with them for almost a decade. 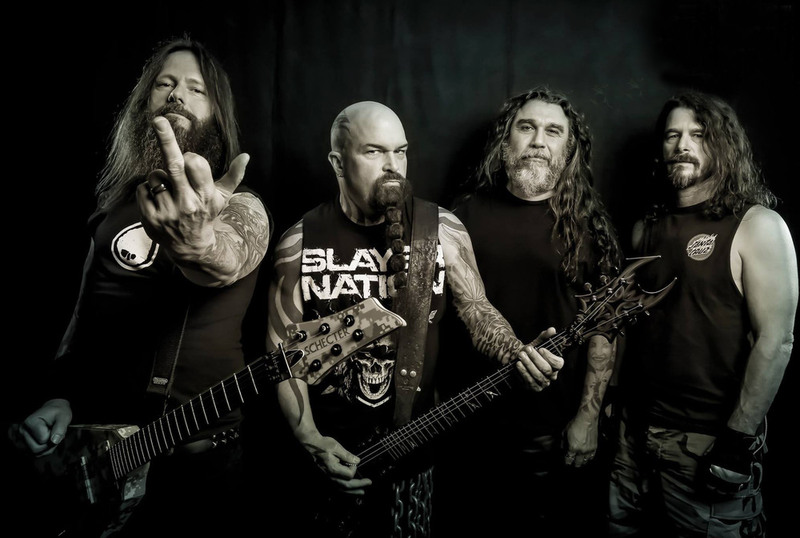 Most notable is his drumming on the Judgment Night soundtrack with Ice T, Divine Intervention (1993), Undisputed Attitude (1995) , Diablos In Musica (1997), Grammy nominated, God Hates Us All (2001), and Slayer’s newest release, Repentless (2015). In addition to his many years with the legendary thrash band Slayer, Bostaph earned his position and reputation in the professional music scene working with other world renowned thrash Metal bands such as Exodus and Testament. Bostaph honed his drumming style though touring and recording records with Exodus, on the record Shovel Headed Kill Machine (2006-2007) and Testament’s The Formation of Damnation (2008-2010). Paul’s athletic approach to drumming became apparent in his technique and his compulsive drive to never stop getting better. For him, the love of playing drums stems from the enjoyment and devotion to music. He feels the opportunity to work with so many talented artists and to create dynamic music is rewarding on so many levels. Paul remarks that it is gratifying to be a part of the collaborative process and hearing how his influence and style become part of the music. Playing that music live, on stage, feels like being on another planet...or another realm. Paul once remarked, “Everyone is waiting for the starting gun...then the explosion happens”. Bostaph believes that, the anticipation, the nervous energy, the love for the music, the physical energy...all gets left on stage and what remains is a puddle of sweat.